Budget 2018: Would Arun Jaitley consider increasing spend on Ujjwala scheme? Speaking at a press conference, former finance minister P Chidambaram said, "I did not hear any measure to boost exports, as the government has run out of ideas. Jaitley has imposed additional custom duties to restrict imports. Prime Minister Narendra Modi's speech at and the spirit of Davos has been forgotten within a few days." "For food processing, Rs 1400 crore has been planned to be provided. Through Saubhagya Yojana, Centre plans to electrify each house by 2022," BJP chief Amit Shah said while addressing the media. "Modi government has arranged to provide insurance to poor families. 24 new medical colleges will also be opened. 6 crore more toilets are planned to be constructed across India," he added. A finance ministry official says, "​Rashtra Swasth Bima Yojana cover has been increased to Rs 5 Lakh. It was limited to specific people but now 10 crore family groups will be considered. We are working on it and soon it will be implement." Speaking at a press conference, Finance Minister Arun Jaitley said: "I think there are some factors which benefit all. But there are three specific. This is the first time that the salaried class is a whole. This totals 2.5 crore people, which is almost 35 percent of taxpayers base. We have given them a standard deduction. Second, I think our senior citizens. I have given them additional avenue of investment. Limit for investment in LIC schemes doubled to Rs 15 Lakh. And I have not forgotten the business class either. So all businesses and companies, uniformly they pay 5 percent tax." The Government has focused on inclusive measures in the budget , targeting critical areas of agriculture , education , health , power among others. On health insurance, the introduction of Rs. 5 lakh cover for families and increase in medical insurance tax exemption for senior citizens indicate the focus of policy makers to ensure adequate protection against health hazards for India’s populace, said Bhargav Dasgupta's ,MD & CEO, ICICI Lombard. On the infrastructure front, the Finance Minister has shown remarkable restraint, and therein lies the brilliance of his announcements. India is at the cusp of an infrastructure revolution, and the budgetary support of Rs. 5.97 lakh crore for FY19 will be a big positive for the sector and supplementary industries such as cement. The focus of the government will likely remain on effective and timely execution of existing projects,with the FM promising construction of 9,000 km highways by the end of FY19. Also, it was encouraging to see the reinforcement of the government’s commitment to the Bharatmala Project, which will be a major boost to demand in the next financial year. Besides this, the announcement of the Affordable Housing Fund was also a positive announcement,especially since it will create an impetus for the housing sector, which contributes around 65% to India’s cement demand. "The Budget is a populist one with lot of focus on agriculture sector. Refund in case of exempted supplies needs to be implemented. The credit support to MSMEs by linking data to GSTN for approving loan is innovative and encouraging. While tourism is encouraged, the tax benefits including refunds to foreigners still remains to be seen. Further improvement in ease of doing business ranking can happen through simplified GST compliances and this needs to implemented. Average tax buoyancy has improved and the tax base has improved. This is encouraging unlike presumptive tax collection. The pre notice consultation for Customs and time based litigation is welcome," Abhishek A Rastogi, Partner, Khaitan & Co said. A job well-done of managing expectations from most quarters. Populist measures in line with the government’s policy direction with continued focus on agriculture, poor, women, digital, infrastructure, social security, governance. No change in maximum amount of income exempt from tax instead increase in the Education cess from existing 3 percent to Health and Education cess of 4%. Reintroduction of standard deduction in lieu of medical expense reimbursement & transport allowance, for salary income earners. Bringing in cheer for the senior citizens through tax deduction on deposits, enhanced medical insurance premium deduction, increase in expense deduction for critical care illness. Reinforcement of commitment to planned reduction in corporate tax rates. Enhancement of benefits for employment creation and incentives for MSME enterprises. All in all a mature approach to the Budget befitting the circumstances of the country and the ruling party, said Sonu Iyer, Tax Partner & National Leader, People Advisory Services, EY India. Overall the budget has been encouraging for the technology sector, with a specific inclination towards greater localization and domestic consumption, and consequent indigenization. National Health Protection Scheme will entail significant technology investments, which could be catered to, very efficaciously, by the Indian technology sector already proficient in addressing this segment globally. The rich data base and scope for analytics emanating from a successful project of this nature can provide valuable insights for public policy. Focus on improvements in efficiencies and productivity across varied sectors like agriculture, health, education, infrastructure, etc. are likely to spur development of indigenous and localized technology solutions, said Man Mohan Malik, Founder & CMD, Himalaya Foods International. Yes, we were expecting a lot on angel tax. A lot of startups are facing a lot of issues with angle taxes. I felt that a clarification should have been issued. Mumbai: Global rating agency Moody's said the fiscal deficit projection of 3.3 percent for FY19 is in line with its forecast and the target will be achieved. In the Budget, Finance Minister Arun Jaitley revised fiscal deficit estimates for the current financial year upwards at Rs 5.95 trillion or 3.5 percent of GDP against the estimate of 3.3 percent and also projected 3.3 percent for FY19, up from the road-map of 3 percent of GDP. The Budget has recognized food processing as the major tool for rural upliftment and to enhance farmers income. Besides double allocation, huge increase in rural Infra and overall support to the farm sector through new initiatives will further add to the growth of food processing industry. Thrust on agro and processed food exports will be further icing on the cake. Easier availability of Mudra loans to young and new entrepreneurs will help to build food service chain linking farms to process industry to the consumer directly. It is good that they have not applied taxes retrospectively. But at one point of time, I feel a flat 10 percent tax will be applied. But the government must factor in inflation to help the common man with the tax problem. The Budget does not generate excitement to the extent that was anticipated. Though the extension of rural WiFi hotspots along with investments in telecom can enable rural economy and drive much better financial inclusion and drive technology enabled growth for the subset of our rural population, we need a better connect between strategy and execution especially in terms of digital India so that we are able to fully leverage the enhanced allocation. Looking at the overall picture, I feel that the approach is more fragmented at the moment and outcome and objectives of digital India needs to be better connected with the investments which are being made.Rather than restricting crypto-currencies, they can be regulated to prevent any adverse impact and risks while exploring blockchain side by side and leverage opportunities which are available with new concepts and technologies that they bring to the table, said DD Mishra, Research Director at Gartner . By forming a group in the ministry of finance to examine the policy and development measures needed for creating right environment for fintech companies, the finance minister has recognised the role played by us in assisting MSMEs and economic development. Fintech companies especially the ones in online lending space are not only easing the credit delivery to salaried class and MSMEs, but are also improving the entire delivery chain through innovative use of technology as well as lowering cost. In fact a flourishing fintech sector has the capability to improve various segments of banking and bring efficiency in the credit lending process. The second major promise was to take additional innovative measures to strengthen venture capital and angel investor ecosystem. The government has been quite supportive earlier by launching Startup India program and taking steps to build a robust alternative investment regime. Additional measures will further energise our already booming sector and lead the economic development in the country. With good support, online lending companies will be able to expand the business, reach out to larger sections of the country and aid in job creation, said Tushar Aggarwal, Founder, StashFin, online lending platform. By the way, things are going on, I feel liquidity is tightnening and this would lead to a increase in interest rates. "This is possibly the first time when the disinvestment targets have been exceeded and is pegged at 1 lakh crore. A higher target has been taken for the next year too at 80k crore. With Air India divestment on the anvil and further tranches of the exchange traded funds, the target looks achievable." The finance bill is very clear that the LTCG tax will start from the next year. There is an unnecessary panic being created. "There is talk that securities transaction tax and LTCG can overlap. This is on our mind. In the long run, the strength of the market will depend on the Indian economy. Let me clarify that the Budget cannot be linked to elections, we needed to strengthen the rural sector," said Finance Minister Arun Jaitley. "In a country where tax evasion is high, it is a big task to bring people into the tax system. But we have tried to do so by various means," says Jaitley. In an election-heavy year, Union Finance Minister Arun Jaitley presented a Budget that had Prime Minister Narendra Modi’s signature all over, focusing primarily on rural India but failed to offer a blueprint that one could use to describe this government’s last full Budget as reformist one. There are ample evidence to say that this Budget is designed to specially target Bharat more than India. As expected, the government couldn’t keep the fiscal deficit target of 3.2 percent this fiscal year, saying it might slip to 3.5 percent on account on delayed spectrum auction and lower tax collections. For next year, the fiscal deficit target has been set at 3.3 percent. Markets didn’t take this well as investors turned jittery on government finances. MSP won't solve every problem of India's farmers. You need to also give our farmers more opportunities to earn income," said Arun Jaitley. "I see the deficit come down in the next fiscal. I am of the view that corporate tax needs to be brought down, so we brought it down to 25%. 5.3 Lakh companies have been covered by corporate tax relief. 3,67,000 crore profit has been earned by large companies and not a single rupee of tax has been paid. Long Term Capital Gains (LTCG) has been introduced because someone needed to bite the bullet," Finance Minister Arun Jaitley said. The long term capital tax will matter to a few people in Bombay and Ahmedabad. The finance minister in his excitement to explain the calculation of long term capital tax confused many people. From what I understand the tax will apply to people who buy it today. I will the budget a "Nar Indira Modi budget". It was very populist like Indira Gandhi's. On the question of fiscal prudence, I dont agree with that. The fundamental problems of the education sector will not be addressed by throwing money into it. The problem in the sector also relates to the primary education, not just higher education. There is a lot of overpromising and messaging. I feel the politics of the budget got addressed but not the economics of it. It is "bottom of the pyramid" economics and "bottom of the pyramid" politics. I have no doubt it is a ballot budget. it gives the sense that it will uplift this section of the society while giving a lollipop to the middle-class too. Firstpost Editor BV Rao said, "Forty minutes into the speech the Finance Minister was still on benefits for the poor. A pro-poor Budget was expected. But this is pro-poor like how!" Universal healthcare, rural jobs, significant SC/ST welfare funds, an agriculture market fund, free LPG connections for underprivileged women: the message is amply clear. 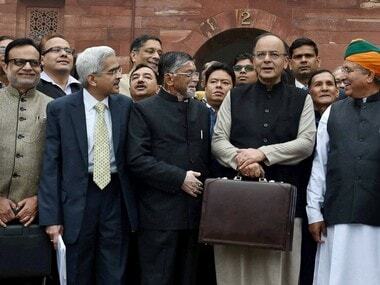 This is intended to be a 'grassroots' budget, says Jaideep V Giridhar, Firstpost's Executive Editor. Shares of agriculture-related stocks surged up to 10 percent on Thursday after finance minister Arun Jaitley said that Budget 2018-19 will focus on strengthening agricultural and rural economy. NACL Industries stock zoomed 9.64%, PI Industries 6.49%, Shakti Pumps India 5.89%, Action Construction Equipment 5.66% and Monsanto India 4.84% on BSE. The fact that they had moved beyond a MSP and wanted to link it to commodities and futures market is a bold move. But how do you actualise that is the question. If you look at it from an agriculture perspective, in green revolution, the production was boosted. This budget takes it to another level. If you see the previous budgets, this is a different paradigm.Here the government is focussing on higher growth. The entire thrust laid today for agriculture will help the sector. Only fast-growing MSMEs create jobs. This is what any economist in an US institution will tell you. But the questions is the need for capital and from where it will come from. Infrastructure sector, housing as well as e-commece will get a boost after the budget. "Gobar Dhan Yojana will not only help in keeping villages clean, it will also increase farmers' income," Prime Minister Narendra Modi said. Our budget is a step at increasing the incomes of farmers. We have made many things for the improvement of agriculture sector in India. We have increased the allocation for agriculture sector to Rs 14.5 lakh crore. We intend to provide 51 lakh new homes. We intend to build 3 lakh kilometers of roads. We will build 2 crore toilets under Swacch Bharat programme. We will also provide 2.5 crore homes with electricty. From food processing to fibre optics, from roads to shipping, to youth to senior from rural to urban India, from digital to start up India, the budget is for the aspirations of 130 crore Indians. This budget will increase the speed of growth. This is a common man, business friendly and development friendly budget. It is not just the ease of doing business but also ease of living, which has been focused. Cluster farming is a small step. A bolder and major step would have been corporate farming with BJP-ruled states leading the way. One medical institute per constituency is a big one. Tough to implement but certainly a step forward. Great step to have allocated one lakh crore towards research under RISE programme. Strong step towards taking care of rural distress. Demonetisation and GST was always supposed to be a contentious issue.. But people knew that GST will have to be done. Demonetisation was a brave move. Over the period of time, it brought the informal into the formal economy. They (government) have also manged their tax collection despite all this. The 3.3 percent fiscal deficit target shows that. A Budget that changes India? The BJP-led government has used this Budget to get ready for the 10 Assembly elections scheduled this year. Looking at this budget, chances are the Lok Sabha elections might also be brought forward towards the end of this year. As expected, the government couldn’t keep the fiscal deficit target of 3.2 percent this fiscal year, saying it will slip to 3.5 percent on account of delayed spectrum auction and lower tax collections. For next year, the fiscal deficit target has been set at 3.3 percent. Markets didn’t take this well as investors turned jittery on government finances. The fiscal slippage will not go down with investors and could prompt monetary policy authorities to hold back rate cut plans. What will also make investors unhappy is the introduction of long-term capital gain tax to 10 percent for investments over Rs one lakh. Besides, Jaitley also proposed to introduce 10 percent tax on distributed income by equity-mutual funds. These would mean budget is a turn off for investors at least partially. "Jaitley’s budget has given a huge push to infrastructure with more allocation of resources to infra sector; focus on employment problem of India with particular focus on medium and small enterpises; MSMEs to receive quick loans for resource access and employment generation. It is laudable that the government has given a significant focus on holistic health care and education. The finance minister's approach likely to be more balanced without disturbing sensitive things like introducing tax on long-term capital gains," says Sanjay Sanghvi, Partner, Khaitan & Co. It is a predictable budget, overall, no surprises at all, except perhaps the creation of a single insurance company. The focus on employment, agriculture and health and education was needed, but not sure if the announcements will lead to the expected outcomes. implementation will be the key if these are to give electoral bang for the buck. fiscal slippage from 3.2 per cent to 3.5 percent is disappointing, but, again, perhaps expected. Anshul Prakash, Partner, Khaitan & Co, says the proposal for the government to go out of pocket in respect of the 12% contribution mandated under the EPF Act for all ‘new employees’ across sectors for a period of first three years, is a populist move aimed at appeasing the younger workforce. 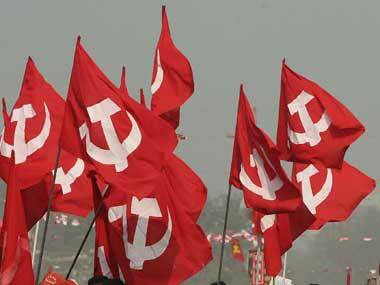 This is being done in the wake of the upcoming assembly elections this year and the next year’s general elections. While the source of funding by the Government for the employee part of the EPF contribution is unclear for now, it would result in greater takeaway for the employees who are currently required to contribute 12 percent to the employee provident fund out of their salaries. Industry may have to struggle with structuring the staff salaries accordingly from a cost to the company perspective. It is an election-oriented budget, so the idea of healthcare is another sign of the election-oriented budget. What was interesting is the psych-ops of the government. I am saying this because it is unheard of any government is making polices which goes beyond the immediate election. The government is acting like it has already won the 2019 election. Import duty hikes are not a good sign. PM says in Davos India is not protectionist but this is clear sign of protectionism. The salaried class is bound to feel let down by the Narendra Modi government as finance minister Arun Jaitley refused to tinker with the slabs in personal income tax. He did, however, made a concession (as was strongly expected) by announcing a standard deduction of Rs 40,000 in lieu of transport and medical reimbursements for salaried employees. There will be a revenue loss of Rs 8,000 crore revenue lost. However, he also introduced a long-term capital gains tax at 10 percent on gains of more than Rs 10 lakh but all gains till 31 January, 2018, to be grandfathered. Moreover, Jaitley further increased the education cess by 1 percent. The middle class will be hit hard. The government will evolve a scheme to provide a unique identity to every enterprise in India on the lines of Aadhaar, Finance Minister Arun Jaitley said today. "Aadhaar has provided an identity to every Indian. Aadhaar has eased the delivery of so many public services to our people," Jaitley said while presenting the Union Budget 2018-19 in the Lok Sabha. Noting that every enterprise, be it large or small, also "needs a unique ID", Jaitley said the government will evolve "a scheme to assign every individual enterprise in India a unique ID". I propose to increase custom duty on mobile phones increased to 20 percent from 15 percent. Some other parts and accessories to have also been increased. Custom duty on TVs have also been hiked to 15 percent. This will create more jobs in the country. Jaitley also added that educational cess and secondary higher education cess is abolished. While Sensex is down 325 points at 35640, Nifty is 76 points down and is currently at 10952. "Proposed two defence industrial corridors in the country to promote domestic production in both public and private sectors," says Jaitley. The proposal to amend the EPF Act to provide specific reduction of the EPF contribution rate for women employees for a period of three years appears to aim at appeasing the significant female workforce in India. The modalities will have to be looked into considering that the employer will be required to contribute at the extant rate of 12 percent against 8 percent proposed for the women employees, Anshul Prakash, Partner, Khaitan & Co told Firstpost. For senior citizens, exemption of interest income on bank deposits raised to Rs 50,000, says Jaitley. Outlining a clear mechanism to review salary and perks of the MPs every five years is a welcome scheme. The way MPs used to increase salaries of MPs without any clear laid out procedure was subject to criticism. There is no doubt that the MPs need decent salary to carry out their social and constitutional responsibilities without indulging in corrupt practices but the popular ire against them was on account of the fact that they neither did justice with their assigned duties and took home good amount of money as salary and allied perks. The enhancement of salary of President, Vice-President and Governors would be debated and discussed. As it is almost all cost and expenses, except those incurred on personal purposes, but then the highest constitutional authorities including Head of State deserve to live and retire in dignity. Talking to Firstpost. Sanjay Sanghvi, Partner, Khaitan & Co said, "Arun Jaitley’s focus on employment problem of India is on Medium and small enterpises. The MSME will be receiving quick loans for resources access and employment generation. There is a significant focus on holistic health care and education. This is very laudable and fundamentally strong initiatives. The finance minister's approach lis ikely to be more balanced without disturbing sensitive things like introducing tax on long-term capital. Propose 100% tax rebate for farmer producer companies having a turnover of Rs. 100 crore, says Jaitley. JAITLEY PROPOSED TO CUT CORPORATE TAX TO 25% FOR FIRMS UPTO RS 250 CRORE ANNUAL TURNOVER. TAX RATE UNCHANGED FOR INDIVIDUALS. Clean India, but what about funds to the dream? Budget philosophy so far appears to be driven by Elections 2019. The aim seems to become a country which is Clean-Connected-Illuminated-Healthy- Educated. It will be interesting to see how this vision will be funded, said Ashok Shah, Partner, NA Shah Associates. Fiscal deficit overshoots significantly – 3.5 percent against budgeted 3.2 percent. Next year, too, it is going to be 3.3 percent. The Economic Survey indicated this. Not a good sign. Jaitley announces that government has accepted N K Singh committee report. So will the exception clauses be invoked? One needs to see if there is a credible explanation for overshooting the target. Markets gave a thumbs down to Arun Jaitley's statement that govt will breach fiscal deficit target to 3.5 percent this year. "In 2016-17, 85 lakh new tax payers joined the system. This is a rise from 66.26 lakh in the preceding years. The total tax payers have increased from 6.47 lakh crores to 8.27 lakh crores," Arun Jaitley said. Jaitley says gold monetisation scheme being revamped so that people can open gold deposit accounts in a hassle-free manner. "The government is proposing changes in refixing salaries of MPs. Law will provide automatic revision of emoluments of the MPs every five years indexed to inflation," says Jaitley. The government has set a divestment target at Rs 80,000 crore, says Jaitley. Fiscal deficit will touch 3.5% this year as against the targetted 3.2 percent. To target 3.3 percent in 2018-19. "The government Will take all steps to eliminate the use of Crypto-Currencies, will encourage Blockchain technology in payment systems," says Jaitley. The emoluments of the President, Vice President and Governors of states was last increased on 1 January, 2006. The emoluments will be increased from Rs 5 lakhs for the president, Rs 4 lakhs for Vice President and Rs 3.5 lakh for governors. "One lakh Gram Panchayats connected to optic fibre completed; 5 lakh Wi-Fi spots to be created in rural areas: Niti Aayog to establish a national programme to direct efforts towards Artificial Intelligence, including research and development of its applications," announces Jaitley. "Airports Authority of India now has 124 airports. This will be expanded by five times. Aim of 1 billion trips a year," announces Jaitley. Predictable focus on small and medium enterprises and informal sector. Mudra accounts get Rs 3 lakh crore but equally importantly, processes for giving loans to small firms is going to be streamlined and made smoother and faster. While this is necessary, care needs to be taken that this does not result in a unthinking loan mela. This is a NAR"Indra" Modi budget. 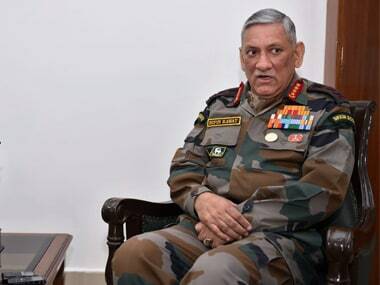 "We have taken measures to build two defence industrial production corridors in India. We will come out with a defence industrial production policy in 2018 to promote the domestic defence sector by investment from private and public sector," Arun Jaitley said while backing "Make in India" policy. "Focus will be on safety, maintenance of railway tracks, increase in use of technology and fog safety devices. to eliminate 4,267 unmanned rail crossings at broad gauge network," says Jaitley. "Redevelopment of 600 major railway stations has been taken up; Mumbai transport system is being expanded; suburban network of 160 km planned for Bengaluru. Will add 90 km Of tracks to Mumbal’s local train network At Rs 11,000 crore. 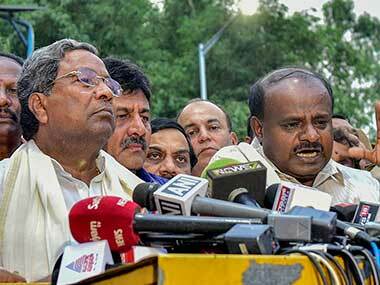 Government to allocate Rs 17,000 crore for Bengaluru Metro Network," announces Jaitley. The BSE benchmark Sensex was trading higher by over 183 points in late morning deals as Finance Minister Arun Jaitley tabled the Union Budget 2018-19 in Parliament. Buying was led by capital goods, industrials, realty, banks, finance, auto and FMCG sectors. While, metal, consumer durables and telecom counters witnessed profit-booking. Investor sentiments were firm on expectation of growth oriented, market-friendly budget, brokers said. The 30-share Sensex was trading 183.18 points, or 0.51 per cent, higher at 36,148.20 at 1110 hrs. The broader Nifty was also trading at 11,082.82, up by 55.10 points, or 0.50 percent. This will chip in on provident fund and employee state insurance contributions of employees and reducing women’s contribution to provident fund. He seems to have heeded advice from most commentators on employment that government till now has been focussing on subsidies for capital-intensive production but should now focus on labour-intensive subsidies. The focus was expected. How it pans out remains to be seen. This approach appears to have worked in textiles sector (which gets more funds). Speaking to Firstpost, Rakesh Bharagava, Director Taxmann said, "Government proposes to revamp the system of sanctioning of loans to SMEs. The information required for sanctioning the loan will be linked with GSTN and all required information can be fetched from GSTN Portal. It will help to grant the loans quickly and will help in reducing processing time." "All railways stations with more than 25,000 footfall to have escalators. All railways stations and trains to have Wi-Fi and CCTVs progressively," says Jaitley. "12,000 wagons, 5,160 coaches and 700 locomotives being procured. There is significant achievements of physical targets by the railways," Jaitley says. Keeping in mind the rise in railway accidents, Finance Minister Arun Jaitley reiterated that "safety first" is the aim of the government under Rashtriya Railways Sanrakshana Yojana. "AMRUT programme to focus on water supply to all households in 500 cities. Water supply contracts for 494 projects worth 19,428 core awarded," announces Jaitley. "Have proposed the construction of a tunnel under the Se-La pass in Arunachal Pradesh.Proposal to develop 10 prominent tourist destinations as Iconic tourism destinations," says Jaitley. "Contribution of 8.33% to EPF for new employees by the government for three years and 12% government contribution to EPF in sectors employing large number of people. Women employees' contribution to EPF to be reduced to 8% from 10% for the first three years," announces Jaitley. Speaking to Firstpost, Bhavik Narsana, Partner, Khaitan & Co said, “The national health scheme of the government is a much needed and great initiative. This is a big positive for the healthcare and pharma industry." Rs 3 lakh crore set aside for Mudra accounts. In his biggest announcement so far in the budget, Finance Minister Arun Jaitley has announced that the government is launching a flagship National Health Protection Scheme to cover 10 crore poor and vulnerable families (with a total beneficiary net of over Rs 50 crore). Under this scheme, the government will provode Rs 5 lakh per family, per year in the world's largest government-funded healthcare programme. This could easily to be called Modicare and is likely to have sweeping impact on the health of the poor. "Propose to earmark Rs 56,000 crore for SCs and Rs 39,000 crore for STs," says Jaitley. The assurance of farmers getting minimum support price which is one and a half times more than cost of production on expected lines. Fortunately he is not stopping with this. The recognition that not all farmers are able to benefit from MSP is good. Jaitley says 187 projects sanctioned under the 'Namami Gange' programme, 47 projects have been completed. Thumbs up also to decision to provide institutional support and policies for price discovery, agri futures etc. Another positive – Rs 2000 crore to upgrade existing 22000 rural haats so small farmers who cannot access the formal mandis. Rs 500 crore for Operation Green to provide logistics, storage and other infrastructure support to tomatoes, onions, potatoes (TOP) and doubling allocation for food processing from Rs 7.15 crore to 14000 crore also good, at first glance. This will hugely address the issue of what to do when there is glut of these perishables and prevent wastage. A fillip to the food processing industry will also boost non-farm employment in the rural areas. Good moves on agriculture overall till now. Implementation will be the key. Jaitley says Pradhan Mantri Jeevan Jyoti Bima Yojana (PMJBY) to be expanded to all poor households. Taking cognisance of the pollution issue in the National Capital Region, Arun Jaitley said: " A special scheme to support efforts of Haryana, Punjab, Uttar Pradesh and Delhi to tackle air pollution through use of in-situ machinery for disposing crop residue." "24 new government medical colleges and hospitals to be set up by upgrading existing district hospitals," announces Jaitley. This Budget appears to have designed to specially target Bharat more than India. There are ample evidences to say this. Jaitley announced a host of measures to support the farmers including increasing the minimum support price for kharif crops (1.5 times of the cost of produce), cluster model for agriculture, working towards better pricing mechanism, special packages for certain segments and use of Kisan credit cards for more farmers. Not just farmers, eight crore poor families, Jaitley said, will get free gas connections under Ujjwala scheme. Besides, under the healthcare scheme, the government promised to offer Rs 5 lakh per family for Rs 10 core families. Jaitley is hitting all the right notes ahead of a series of state polls and 2019 general elections. 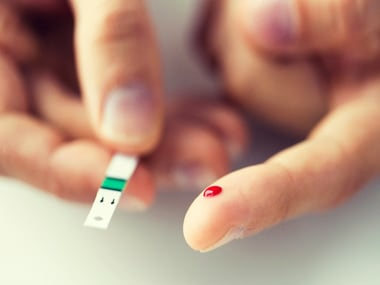 "It's a move towards universal health coverage. Allocation Of Rs 600 crore for nutritional support to all tuberculosis patients," says Jaitley. In line with the expected thrust on the farm sector in Budget 2018-19, Finance Minister Arun Jaitley on Thursday announced that the minimum support price (MSP) for all agriculture produce would be fixed at a level to ensure the farmer a minimum return of one and a half times over the production cost. Presenting the Budget for the next fiscal, Jaitley said this measure would go a long way to realise the government's goal of doubling farmers' income by 2022. Finance Minister says will set up PM Research Fellow Scheme; 1000 B-Tech students to be selected. Jaitley says two new planning and architecture schools to be set up in IITs. The kind of emphasis Modi government has placed in agriculture and rural development including construction of toilets, rural electrification, housing for poor and consequent employment generation could be assessed from the fact that FM Jaitley devoted for 25 minutes of his speech on the issue. He made a good mix of Hindi and English, so that his message reaches to the target audience with clarity. The punch came in Hindi with sentences like Bhratachar jab shishtachar ban jaye ( for UPA when corruption was taken as discipline) ” to contrast Modi government from UPA government …Sir ke uppar chat Garib ka sapna hota hai (a ceiling above his head is dream of the poor) and the government was committed to provide houses to all poor, in urban and rural areas. Our govt will be setting up two new full-fledged Schools of Planning and Architecture, Finance Minister Arun Jaitley. "We have allocated Rs 1,200 crore allocated for health wellness centres. Rs 5 lakh per family per year for 10 crore poor families. The world's largest government-funded programme," says Jaitley. Govt to increase digital intensity in education. Technology to be the biggest driver in improving quality of education, says Jaitley. Speaking in the Parliament, Jaitley said that Rs 16,000 crore will be spent on providing electricity connection to nearly four crore poor households. Thumbs up also to the decision to provide institutional support and policies for price discovery, agri futures etc. Another positive – Rs 2000 crore to upgrade existing 22000 rural haats so small farmers who cannot access the formal mandis. Good use of MNREGA funds. Our natural resources are now allocated in an honest manner. There is a premium on honesty, says the finance minister. A palliative effort by FM? It is quite clear as Arun Jaitley unfurls his budget that the exclusive focus is on palliating the stress on agrarian economy and addressing the anxiety of farmers and rural electorate. 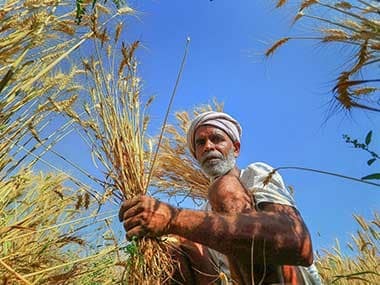 From increasing the minimum support price for kharif crops to extension Kisan credit card to fisheries and animal husbandry farmers to the setting up of an Agri-Market Development Fund (with a corpus of Rs 2000 crore), to announcement of Rs 500 crore for Operation Green, the government is going out of its way to appear as pro-poor and pro-farmer. The agriculture focus starts upfront. The assurance of farmers getting minimum support price which is one and a half times more than the cost of production on expected lines. Fortunately, he is not stopping with this. The recognition that not all farmers are able to benefit from MSP is good. India's agriculture export potential is $100 billion as against today's $30 billion, says Arun Jaitley. He also added that food processing sector is growing at 8 percent. The allocation for food processing ministry being doubled to Rs 1400 crore, he said. Finance Minister says propose to extend Kisan credit card to fisheries and animal husbandry farmers. The NDA government has promoted organic farmers in a big way, says Arun Jaitley. He added that women self-help groups will be encouraged to take up organic farming. 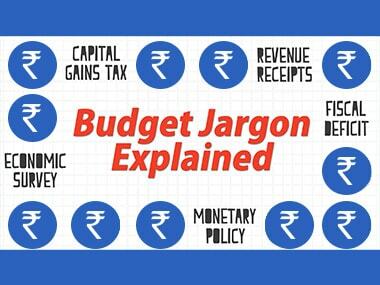 The political messaging in Modi government’s last budget has been evident from the word go. Prime Minister Narendra Modi’s mark on the budget was clearly visible through the opening of Finance Minister Arun Jaitley’s budget speech. Breaking from the tradition Jaitley announced in his budget speech that Minimum Support Price for farm produce would be one and half times of the input cost. How this would work out, the ministry and department would work out. By doing this Modi has fulfilled one of the major pre-poll promise, something which was also included in the party vision document released in 2014. Modi government was often taunted by critics and political rivals on this count. In their fifth and final budget Modi and Jaitley has taken care to address to the concerns of farming community. Election results of Gujarat portrayed anger of groundnut and cotton farmers whose income was hit hard by bumper produce. By taking pride in historic high in farm produce of all kinds and insulating farmers from any downward spiral due to increased produce, Modi government has attempted to win hearts of farmers. Finance Minister Arun Jaitley begins painting a rosy picture of the economy, but what is the government’s plan to deal with the pain points on the ground? FM Jaitley noted that economy has turned the corner under the Narendra Modi government. Jaitley made a politically important statement that this government has created a situation where there is a premium to honesty as evidenced by fight against black money and demonetisation moves. These statements are indeed valid. But despite Jaitley’s claims, there are serious problems in the economy on the ground particularly with regard to employment, farm distress and lack of private investments. The problems are real and it will be interesting to watch for budget cues on these issues. Our emphasis is on generating higher income for farmers. We want to help farmers produce more and realise higher prices, says Finance Minster Arun Jaitley. 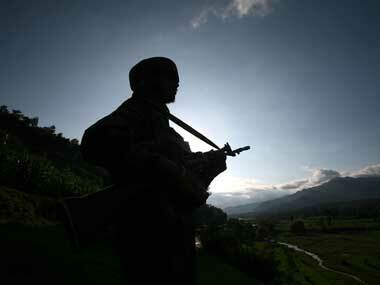 Government proposes to launch Operation Green for which a sum of Rs 500 crore will be allocated. Rs 1,290 crore to set up bamboo fund. "Cultivation of horticulture produces in a cluster-based manner create avenues for more produce," says Jaitley. Setting up Agriculture Market Fund with a corpus of Rs 2,000 crore, says Jaitley. MSP for Kharif crops to be 1.5 times the cost of produce, announces Jaitley. "The government will create an institutional mechanism involving all concerned ministries so that the farmers get a better price for their produce," says Jaitley. "Our government has ensured that the people get their benefits directly and on time. Our Direct Benefit Transfer (DBT) programme has eleminated the middleman in India," says Arun Jaitley. "Our government has worked sincerely for various reforms without keeping the political angle in mind. My government is committed to the welfare of the fares. Agriculture is an enterprise and encouraging farmers to earn more," Jaitley says. "Manufacturing sector back on the revival path. Exports expected to grow at 15% in FY18. On track to achieve growth of over 8%," says Jaitley. With demonetisation, the quantum of cash currency in circulation and increased tax base and has also help improve the digitalization of our country, says Arun Jaitley. He also added that Foreign direct investment has gone up, while the GDP at 6.3% is a signal of a turnaround of the economy. He added that exports are expected to grow at 15% in 2018-19. "There is a premium for honesty today," says Finance Minister Arun Jaitley. Lok Sabha in silence as a mark of respect to the departed soul. We need to look at the previous announcement where it was announced that Rs 2 lakh crore investment will be injected in the banking sector. Thing is how and which bank get it. Some banks need the investment as they are in bad shape. Some need it for growth capital. There is already a uptick in the banking sector. Inclusion of capital is a must. There are two ways to do it: through banks or through the market. Union Cabinet has given its nod to Budget 2018. We have seen govt talking of employment. But jobs are not being created. Even Modi said that "Pakora selling" is also employment. But this has been going through since 1947. Around 46 percent people in India are self employed and two third of them make only Rs 90,000 in a year. This is not good at all. I would like Jaitley to accept it. But asking government to create jobs for 1 million jobs in India is unfair. IBC is a major reform. The NPA rate has begun to bottom. But this is unless the government does not announce a major farm loan waiver. This may impact the ratings as well. I believe the IBC will play a positive role. I don't think the Budget will do anything to curb the upswing in the banking sector. It will be a "no harm" budget. It will try to consolidate fiscal position. It will try to placate the rural constituency. There could be some kind of cohesive action over farm loan waiver. Federalism is coming to play here. The government may come out with a scheme to provide some relief to farmers. The ability of the government to do a positive impact on people is low abut doing negative impact is high. There are already rumours of a early Lok Sabha elections, I hope there is no major farm loan waiver. I fear the government may waive off Mudra loans. An average Mudra loan is 23,000 rupees. The total will be around 1 lakh crores. Now people are realising in investing in India's equity market. So, Jaitley cannot tax long term capital gains.Indian investors are not very educated about long term capital investment. But yes, if they do so, they would have to do it a very smart manner. Lost in the debate over populism, election-oriented Budget and fiscal prudence is the fact that at 1.63% of the GDP, India has one of the lowest budgetary allocations in the world for defence. In fact, for all the BJP's nationalistic posturing and 'strong government' image, last year's defence spending was lowest in the past 50-odd years in terms of percentage of GDP. Leave alone China, even Pakistan greater budgetary allocation, points out Livemint in a report. Moreover, as data journalism website IndiaSpend tells us further, over the last three years to 2017-18, IAF's capital budget was 46% lower than its requirements, the army’s was 41% and the navy’s 32%. When Arun Jaitley rises to present his final budget, he would be aware that India cannot afford to ignore budgetary spending on defence given the fact that we are the largest importers of arms and equipment in the world. Government may not like to bring petrol and diesel under the ambit of the GST. Maybe they may do so in the course of the year. Through the windfall gains after the fall in oil prices, the government invested in infrastructure. But now with the rise in oil prices, things are difficult for government. Oil issue is always coupled with the rupee devaluation. Some say we should be weakening rupee but it will put a great pressure on our exchequer. Prime Minister Narendra Modi has arrived at the Parliament as there is less than an hour for Finance Minister Arun Jailtley's Budget speech. This Budget will reflect how the Modi government has fared so far and what it intends to do in its last year in power. Through the Budget, the government would like to dispel notions of unemployment and jobless growth in India. But we always interpret about the impact of economy on elections but that does not seem to happen in India. They (BJP) won in Gujarat and Uttar Pradesh. They will focus on social sector spending with an eye on the elections. Now, I don't think that the government will focus on economics now. It is high time that corporate taxes come down. They need to take bulls by the horn. About 20 to 25 percent corporate tax should be done now. If not now, then it will be difficult to reduce it later. In the retail side, there needs to be some benefits for the consumers. There needs to be a expansion of taxation system. What we are facing is a fall in production level for MSMEs. Govt has to take some step in the budget. They need to take care of how to take care of income tax rates. There needs to be a push to consumption. After GST, there was a fall in consumption, so how will government push consumption. In agriculture sector, there is a stress in consumption too.In Gujarat election, we came to know that the government is not very popular in rural areas. it will be tough budget for them. Stock market appears to have taken a cautious opening on Budget day. Markets have opened a tad higher, but no excitement is seen. This is a signal that investors are a bit jittery waiting for Budget cues for future decisions. Logically, investor community will look for cues from the Budget on Narendra Modi-government’s determination to stay on the path of fiscal prudence and continue with the reform momentum. If Jaitley disappoints on these fronts, bears will likely claim an upper hand by the end of the day. Mumbai: The key Indian equity indices on Thursday opened higher ahead of the Union Budget 2018-19 presentation by Finance Minister Arun Jaitley in the Parliament. The 30-scrip Sensitive Index (Sensex), was trading 157.21 points or 0.44 percent higher soon after opening. The wider 50-scrip Nifty of the National Stock Exchange (NSE) was also trading 46.25 points or 0.42 percent higher at 11,073.95 points. Minister of State for Finance Shiv Pratap Shukla said the government cannot ignore public welfare and hence the Budget will be on these lines. “We must fulfil everyone's expectations. The government has already announced PSU banks recap plans and is committed to its focus on rural development,” Shukla told CNBC-TV18. Sensex, Nifty opens in green and mid-caps are in the red. The agri-focussed are doing well this morning. 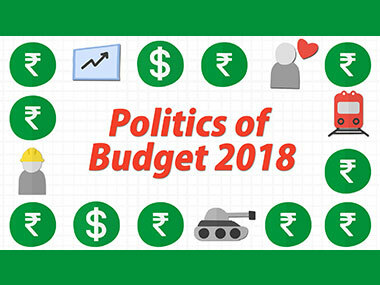 As the government gets set to unveil Budget 2018-19 today at 11 am, all eyes will be on whether the authorities stay the course on containing the fiscal deficit, or whether they throw caution to the wind with a populist set of spending priorities. Facing discontent at home over falling farm incomes and a backlash following policy initiatives that have dented growth, Prime Minister Narendra Modi will be aiming to woo rural voters and small business owners in the last full budget before a general election that must be held by May 2019. To keep investors on side, however, Modi will have to convince them that he plans to keep to his word on working towards reining in the fiscal deficit. Will the FM tweak I-T slab for salaried class? During Gujarat elections, the BJP witnessed some erosion of its rural voter base, but the middle class held firm. In fact the middle class that constitutes roughly 35 percent of Indian electorate has been traditionally and resolutely backing the BJP through thick and thin. They stood by Prime Minister Narendra Modi when he ushered in disruptive policy interventions in the form of demonetisation and GST. The salaried class, a large constituent of the middle segment of Indian consumers, has been hard-pressed due to the slowing economy, rise in fuel prices and high retail inflation. On an election year and in his final full budget, the finance minister wouldn't want to antagonise this segment that is crucial to BJP's electoral chances. It is possible that we may see a tweaking of the income tax slab that could be heightened from Rs 250,000 to Rs 300,000. This, in itself, may not be enough to ease the pocket or the minds of the salaried class. To increase disposable income, the middle class expects Arun Jaitley to bring back 'standard deduction' that was done away with in 2006. A standard deduction of 25 percent to 35 percent of the salary component not exceeding Rs 75,000 could be enough to ease heartburn and the FM would be aware of it. After a short meeting at the finance ministry, FInance Minister Arun Jaitley has left the North Block. He is expected to proceed to the Parliament now. Political populism or fiscal prudence: What will Jaitley choose? In an election year, no Union Budget can afford to disappoint the prospective voters, particularlyso given that this is the last full Budget of the Narendra Modi government. Prime Minister Modi has given enough indications that he doesn’t intend to see the Budget a bag of populist goodies. But can Arun Jaitley really do so? Politically, it will be a mistake on the part of any finance minister to make the Budget speech disappointing and a non-event in an election-heavy year. The choices before Jaitley is to either make the Budget politically a smart move or stick to fiscal prudence. As a result of GST, the price of insurance has gone up by anywhere between 3 percent to 18 percent. The insurance industry has suggested that the term insurance be treated as an essential and not be taxed under GST. It is currently in the 18 percent bracket and we expect it to move to a lower bracket at least. This is important as only 8 percent of India’s population, according to report released by PolicyBaazar.com, is covered by any insurance at all - health, life or ULIP, and pure life insurance penetration is abysmal. We, as an industry, have been pushing for term insurance to be made mandatory for all citizens in a phased manner to make social security net be available to all. GST exemption will be a step in the right direction. With just over two hours remaining for his Budget speech, Union Finance Minister Arun Jaitley has reached the Ministry of Finance located in the North Block of the Central Secretariat. The Information Technology sector plays a vital role in the growth of the Indian economy. In the Financial Year 2016-17, the Indian IT-BPO sector contributed nearly 9.3 percent of India's GDP. It is India's largest and most diverse private sector employer, with a direct workforce nearing 3.7 million people. There is a need to strengthen the backbone of the IT industry in India. The industry expects encouragement from the government. Initiatives such as 'Make in India' and 'Skill India' have the potential to help the workforce secure jobs domestically. We have laid roadmap for privatisation of Air India, MoS civil aviation Jayant Sinha told CNBC-News18. He also added that the government has delivered successfully in all sectors of the economy. 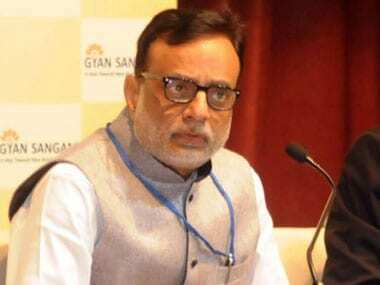 Can Jaitley meet fiscal deficit target? It will be interesting to watch whether FM Jaitley will manage to stay onto the fiscal roadmap this time. The government has set a target of 3.2 percent this year. But the challenge for Jaitley arises from the fact that the government is walking a tightrope on the revenue front. With GST collections not as good as expected and divestment drive yet to yield desired results, government finances remain tight this year. On the other hand, there is pressure on the expenditure side. With private investments yet to revive signficantly, the onus to support the economy primarily lies with the government. In this backdrop, Jaitley will face a tough task to meet the fiscal deficit target of 3.2 percent this year. The Centre may dole out incentives to promote electric vehicles in the country by considering lower GST and extending tax benefit for buyers in this week's Budget for 2018-19, say sources. The announcement is expected in view of the governments aim to have 100 percent electric vehicles for public mobility and 40 percent for personal mobility by 2030. "Finance Minister Arun Jaitley may announce tax benefits for the electric mobility in the Budget on 1 February 2018, as there has been a lot of brainstorming so far," industry sources said. The share of bank lending to real estate sector has fallen sharply to 17 percent in 2016 from over 68 percent in 2013 as banks are reluctant to provide credit to this industry due to rising NPAs and lower profit in property business, PTI quoted the Economic Survey report. An interesting aside on the Budget day will be the implementation of GST e-way bill that goes live nationwide from Thursday. The e-way bill, an essential part of GST architecture that seeks to stop under reporting and tax evasion during inter-state movement of goods, is an electronic tracking system. It is expected to tighten surveillance and raise revenues substantially but the shoddy implementation of GST still fresh in mind, the industry is understandably nervous about fresh and further disruption. With India’s urban population rising by 11 million annually – the equivalent of adding a Bengaluru every year – and urban voters forming a major vote base for the Bharatiya Janata Party (BJP), making money and management available for cities would appear to be a priority. But promises of smart cities and managing growth to provide jobs and housing for the coming urban population jump from 377 million in 2011 to 600 million in 2031 – with 20 percent of this growth expected to come from rural distress and migration – are, currently, displaying little progress. Less than a quarter of central funds for four major national programmes for India’s urban renewal have been used, according to an IndiaSpend analysis of government data. Since urban development is a state subject, state governments implement these national schemes with central assistance playing a key role. State and urban bodies are also expected to finance a portion of the program on their own by raising funds from other sources. 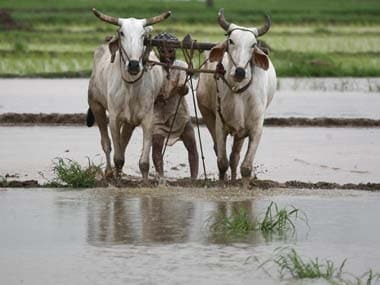 The agriculture sector will not just watch how much money is set aside in the 2018-19 budget but also how it is used, as the National Democratic Alliance (NDA) also tries to woo disaffected farmers before upcoming Assembly elections in eight states — Karnataka, Madhya Pradesh, Chhattisgarh, Rajasthan and the northeastern states of Meghalaya, Mizoram, Nagaland, and Tripura. Agriculture is the government’s “top priority”, finance minister Arun Jaitley said on 15 January, 2018, admitting that “farmers were not getting the right price for their produce”. That is an acknowledgment that record harvests and government spending are not significantly improving India’s agricultural crisis. 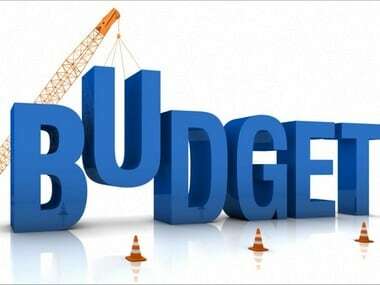 New Delhi: Claiming that the budgetary process in India was not transparent enough, an NGO on Wednesday urged the government to place more information related to the budget in the public domain. As Finance Minister Arun Jaitley gears up to present the Union Budget 2018-19 on Thursday, the NGO, Transparency International India, said on parameters of international standards on budget transparency, the Indian budget was considered "less transparent" as it put only "limited" information in the public domain. "Budgetary process in India is still non-transparent, non-participative with poor accessibility by citizenry," it said in a press release in New Delhi. While the government "boasts its intentions of transparency", India ranks low on indicators representing budget transparency, it said, demanding greater openness in the budgetary process. As finance minister delivers his final budget, it will be interesting to see how Arun Jaitley manages to balance fiscal rectitude with the need to create jobs, boost infrastructure and rural spending and give tax relief to middle class in an election year. His hands would be tied by rising oil prices and the cessation of control over central tax structure that has been subsumed within GST. Any major slippage in fiscal prudence will undo the hard-earned gains of the last few years and invite rating downgrades from agencies. The 2017-18 budget saw the highest ever allocation to Mahatma Gandhi National Rural Employment Guarantee Act (MGNREGA) — the world’s largest make-work programme — at Rs 48,000 crore, but 56 percent wages were delayed and 15 percent wage seekers did not find work in 2016-17, an IndiaSpend analysis of government data shows. The allocation to be announced by Finance Minister Arun Jaitley on 1 February, 2018, when he presents his government’s last full-year budget ahead of the general elections in 2019 will be closely watched, even as his government has decided to “pump an additional Rs 7,000 crore into the rural job scheme” for the current financial year, as The Telegraph reported on 5 January, 2018. Eight states have declared a drought in the past year, and 6,867 farmers were reported to have committed suicides due to farm distress. India’s agricultural growth has been declining, and has now dipped to 2.1 percent, government data show. What will be in store for the defence forces in Budget 2018? India is the fifth largest military spender (2016) in the world and the largest importer of arms, accounting for 13 percent of the world’s total imports between 2012 and 2016, according to the Stockholm International Peace Research Institute, a think tank. However, over three years to 2017-18, there was a 9 percent decline in budget allocation for capital investments against requirements, or “projections” in officialese, a factor that could delay procurement and modernisation of the armed forces, according to a report by the Parliamentary Standing Committee On Defence 2017-18, an advisory body to the defence ministry, presented to the Lok Sabha (lower house of Parliament) on 19 December, 2017. Given the NDA Government’s strong intent to drive reforms, we anticipate some rationalisation in tax structures and strengthening of related infrastructure. While the GST council has already taken some proactive measures, we hope the government will reemphasize on a roadmap for simple and business friendly GST compliance and administration systems. More importantly, over the course of next few months, initiate all necessary constitutional amendments to ensure that there are no other State or Local Body Taxes, as they defeat the very purpose of bringing uniformity in tax structure, while ensuring proper input credit for taxes. For the accelerated growth of the start-up sector and economy at large, it’s important that the push for digitization should continue with more vigour. Initiatives by the Government including waving MDR on debit cards on transactions upto Rs.2,000 really go a long way in attaining this objective and we hope, on similar lines in post-budget period, rationalisation mechanisms are introduced around credit cards rates as well – which will continue to be a major mode of payments. UPI should be made more cost effective and should be given a much larger push to increase its adoption in India. Announcing a bold, reformist Budget is easier said than done, particularly in an election year. Take the example of the banking sector, 70 percent of which is dominated by government banks in terms of assets. Politically-backed trade unions have a significant say in these banks and any attempts to privatize these entities will be welcomed with stiff resistance as we have seen in the past. The same goes true for several other state-run entities as well. That's a tough call Jaitley has to take. As the Narendra Modi government prepares to present its last complete budget before the 2019 general elections, we reflect on the current fiscal year and evaluate the key target areas for the financial and tax reform proposals of ‘Budget 2018’. This year has witnessed sweeping legislative reform – introduction of the Insolvency and Bankruptcy Code, 2016 (IBC) to facilitate the corporate insolvency resolution process, passing of the Real Estate (Regulation and Development) Act, 2016 to regulate the real estate sector, and introduction of GST as single national tax which streamlines the indirect tax regime in India. Within the realm of direct taxes, the year witnessed the introduction of the General Anti-Avoidance Rules, thin capitalisation norms, secondary adjustments in India’s extant transfer pricing regime, the issuance of the final guidelines on ‘POEM’ (i.e. place of effective management) as a test of corporate residency, the widening of fair valuation basis taxation and implementation of country by country reporting for transfer pricing. Against the backdrop of this legislative overhaul, and the commitment of the present Government to establish an investor and business friendly regime, set out below is a quick round - up on the key expectations from ‘Budget 2018’. Keeping five or six large PSU banks aside, Jaitley can look at privatisation of the rest, some of which are no better than zombie banks with unacceptably high level of NPAs and inefficient managements. The same strategy can be applied to rest of the PSUs as well. The FM can also use the Budget speech do away with certain archaic practices such as forced directed lending for the agriculture sector. It doesn’t makes any sense to continue hiking the credit target to a sector, where the contribution to national income has reduced from 50 percent at the time of Independence to less than 15 percent now. The government can, if it wish so, allocate money and put it directly into beneficiary farmer accounts using the Aadhaar-bank account infrastructure, instead of forcing PSU banks to so. Will FM surprise with a radical, reformist Budget? The other option is to surprise government’s own adviser and announce a radical, reformist Budget. Such a Budget can launch the Indian economy to the orbit of next level of development. For example, FM Arun Jaitley can use the Budget to lay out a roadmap for next level of banking sector reforms beyond the usual recapitalisation exercise and chalk out a roadmap for privatistaion of state-run banks in phases. It doesn’t make any sense for any government to continue with 21 state-run banks in an ambitious economy. India’s film industry, battling falling theatre footfalls, is hoping that the government will encourage the proliferation of multiplexes in non-metros to meet the demand for entertainment in smaller towns and help curb rampant piracy. Finance Minister Arun Jaitley will on Thursday present the federal budget, where the government is expected to try and woo rural voters and small businesses as the country heads into a season of elections. The entertainment industry is not likely to be a big priority. The Film & Television Producers Guild of India, the industry’s apex body, recently made several suggestions in a presentation to the finance ministry, chief among them that tax benefits should be given to all multiplexes built in non-metro cities, which have a lower density of cinema screens. As of now, multiplexes built till 2005 in such areas don’t have to pay tax on 50 percent of their revenue“In order to curb the scarcity of screens for viewing films and to cater to the demand of cinema viewers, it is essential to extend benefit… to multiplexes constructed after 2005,” the document said. As India’s government gets set to unveil its 2018-19 budget on Thursday, all eyes will be on whether the authorities stay the course on containing the fiscal deficit, or whether they throw caution to the wind with a populist set of spending priorities. To keep investors on side however, Modi will have to convince them that he plans to keep to his word on working towards reining in the fiscal deficit. A Reuters poll this week showed most economists expect a 3.2 percent deficit in 2018-19, as the government looks to increase investments in areas such as agriculture. Anything much beyond that, however, may draw a swift sell-off in the markets. Union Finance Minister Arun Jaitley can approach the budget in two ways. First, keep Narendra Modi government's last full budget a low key affair and stick to the implementation of the plans already announced in the last three and half years of this government. This makes sense given that the government has already announced a series of measures to boost the economy including the recently announced Rs9 lakh crore bail-out package targeting infrastructure and banking sectors. Besides, the government has introduced a series of social sector schemes targeting the poor using the JAM trinity. As Chief economic advisor Arvind Subramanian suggested in the Economic survey, Jaitley doesn't have to do anything radical in the budget. The government should make provisions to exempt genuine angel investors who get certified through the accreditation process from the tax; angel tax should only be levied on the non-accredited investors. This will help in cleansing the angel investment sector by only allowing the genuine investors to invest in the startups. To keep investors’ confidence, however, Modi’s government will need to be seen containing the fiscal deficit, while also increasing spending in key areas of the slowing economy. Markets will be focused on how much India widens its fiscal deficit beyond the 3 percent of gross domestic product projected for 2018/19. A Reuters poll showed most economists expect a 3.2 percent deficit as the government looks to increase investments in key areas such as agriculture to bolster its re-election prospects in elections due by 2019. A modest widening of that nature would calm investors worried that the government may slip away from its judicious spending. Traders say bond yields could fall 10 to 15 basis points, while shares could hit new record highs. Gains could be more pronounced if India sticks to its 3.0 percent target. But a deficit above 3.2 percent could hit shares and send bond yields up by 20-25 basis points, depending on the size of the blowout, on fears of populist policy ahead of next year’s elections. On 21 January, Prime Minister Narendra Modi to indicated that the upcoming Budget will not be a populist one and said it's a myth that the common man expects "freebies and sops" from the government. In an interview with Times Now television broadcast, he also pledged that his government will stay on the course of the reforms agenda that has pulled out India from being among the 'fragile five' economies of the world to being a 'bright spot'. Modi stoutly defended his economic policies, saying demonetisation was "a very big success story" and that he was open to changes in the new Goods and Services Tax (GST) to plug loopholes and make it a more efficient 'one-nation-one- tax' system. He rejected criticism of providing a jobless growth, saying "lies" were being spread about employment generation and his government's policies were oriented towards creating jobs. The BSE Sensex slipped 69 points to close below the key 36,000-mark on Wednesday following offloading of bets by retail investors and fresh capital outflows by foreign funds amid mixed global cues. Investors remained on the sidelines ahead of the Budget to be presented on Thursday. The 30-share index remained in the negative zone for the major part of the session and lost 68.71 points, or 0.19 percent to finish at 35,965.02. Intra-day, it shuttled between 35,818.41 and 36,050.69. Ahead of the Budget, corporate America has urged Finance Minister Arun Jaitley for further reduction in tax uncertainty for multinational companies and institutional investors, a step which it said would help attract more foreign direct investments to India. "A significant positive step toward improving the investment climate would be to further reduce tax uncertainty for multinational companies and institutional investors in India," Nisha Desai Biswal, the president of the US—India Business Council (USIBC), said in a memorandum submitted to Jaitley. Noting that in today's economic environment, scarce capital is allocated to markets offering optimal returns, Biswal said global businesses allocate investments where post-tax returns for a given risk profile are highest. Investing in human capital, particularly children, will yield results only in 10-15 years and it seems evident that the government is under pressure for immediate results that will justify their performances. When we demand more budgetary allocation for children, as much as it needs to realise the dream of the demographic dividend, let us see that these are also factored in manifestos when we choose our leaders and governments. The Pradhan Mantri Ujjawala Yojana (Ujjwala scheme) has been a big hit in rural areas. Poor people with no alternative other than wood and cow dung cakes finally have access to a clean fuel. More than three crore households have got access to LPG in a little over 18 months – quite an impressive performance. However, as we all know, usage of cylinders is a cause for concern and not all beneficiaries are utilising gas cylinders regularly and tend to go back to their chulahs. Jan Dhan accounts could be used for income generating activities in poultry, piggery, goatery etc. Can we offer the poor structured savings such that at the end of the savings cycle, they have access to a lump sum of money which gives them an option to buy a physical asset such as a livestock? The livestock should be insured, geo-tagged and poor households can use this savings pool to diversify their income sources. More than half of the professionals who responded to a survey expect a 500 basis points cut in corporate tax to 25 percent. According to a survey by Deloitte covering 120 professionals across the sectors, close to 50 per cent feel that tax reforms, particularly tax litigation, should be the most critical priority now for government. This is followed by reforms in the real estate sector. "Half of the survey respondents (50 per cent) expect corporate tax rate to be reduced to 25 per cent from 30 now to all companies as was committed earlier," the survey said. "Given the strict measures taken by government around curbing black money, it may be the appropriate time to reduce the tax rate," it added. Ahead of the Budget, industry chamber CII today sought redressal of issues related to GST compliance including filing of returns, matching of invoices and getting timely input tax credit. According to the chamber, simplification of Goods and Services Tax (GST) compliances would result in higher number of returns filed, increased collection of revenues, and easier working capital management by trade and industry. The GST Network (GSTN) functioning and return filing formats could be tweaked to ensure acceptance of invoices, it added. CII also stressed upon the need for designing a fool-proof and effective return filing system where seamless and speedier input tax credit (ITC) can be availed by the recipient, as against the current requirement of filing three GST returns. There is no doubt that the path to economic growth will be paved with the investment in infrastructure. To what extent will Budget 2018-2019 reflect these concerns is the overwhelming question? Those in the infrastructure sector are certainly expecting the government to rise to the occasion. Currently, section 80C allows for a maximum exemption of Rs 1.5 lakh for premium paid towards a life cover. The industry believes that term insurance is a better option as it provides adequate cover at much lower premiums. We expect that the Budget 2018 will provide for an exclusive tax exemption of up to Rs. 20,000 for premiums paid towards a term insurance in addition to the current 1.5 lakh available for life. Edelweiss Group chairman Rashesh Shah, who also heads the industry lobby Ficci as its president, has called for laying down a strategic road-map in the Budget to ensure higher non-tax revenue. banking, MF, ARC that's the largest today, NBFC etc. "All these years, successive governments had an ad-hoc approach to non-tax revenue generation. There was no strategy in place. We must widen the non-tax revenue stream in a strategic manner, which none of the governments have tried in the past," Shah told PTI. He said ideally, every government should be raising more money from asset sales/monetization or through non-tax streams and not from higher taxes as has been our model. He said this can be achieved through a proper asset monetisation plan, as our government is among the largest owners of the property and immovable assets in the world. risks and not in running and owning them." New Delhi: Finance Minister Arun Jaitley on Thursday will present the current NDA government's fifth and arguably his toughest Budget yet as he seeks to address agriculture distress, create jobs and boost growth while at the same time stick to fiscal prudence. The Budget, in view of upcoming assembly polls in eight states—including three major states ruled by the BJP—and general elections next year, may see new rural schemes and the stepping up of funding towards existing programmes like MNREGA, rural housing, irrigation projects and crop insurance. With the recent elections in Gujarat indicating erosion of BJP's rural vote base, Jaitley may also unveil incentives for the farm sector. 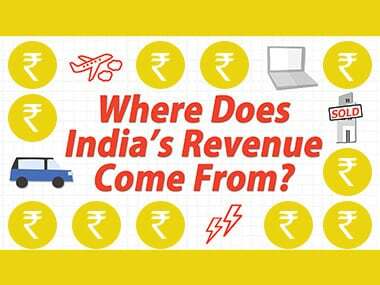 Where does India's revenue come from? Which finance minister presented the maximum number of Budgets (including interim) so far? 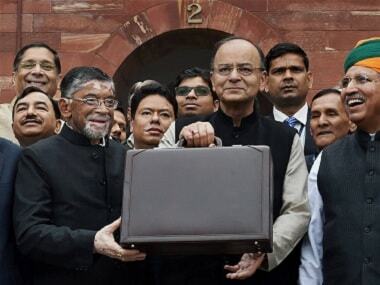 How many finance ministers have presented the Union Budget till date? What is the fiscal deficit target of Central government for 2017-18? Should Finance Minister Arun Jaitley increased income tax exemption under section 80C from Rs 1.5 lakh now? Follow this page for full coverage of Union Budget 2018-19. We'll bring you latest news and updates on Arun Jaitley's Budget speech, industry reactions and expert analysis. Our panel of commentators will go live on 1 February to parse the Finance Minister's fiscal strategy, and its political implications.